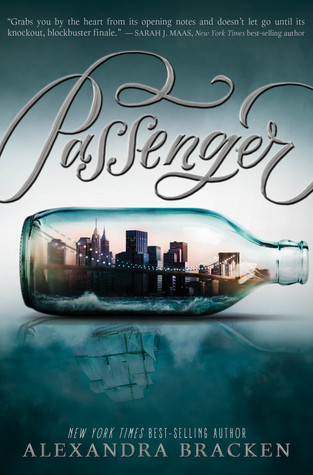 Join us today @ 5pm we will be reading Passenger by Alexandra Bracken I hope that you will join us locally or online! Alexandra Bracken is the #1 New York Times bestselling author of the Passenger series and The Darkest Minds series. Born and raised in Arizona, she moved East to study history and English at the College of William & Mary in Virginia. After working in publishing for several years, Alex now writes full-time and can be found hard at work on her next novel in a charming little apartment that's perpetually overflowing with books. Visit her online at www.alexandrabracken.com and on Twitter @alexbracken. You’re never too old to read young adult literature! Join us on select days to read a variety of YA titles across different genres. Anyone who has read the book is welcome to come, participate, and enjoy snacks! Copies of the current book are available to check out with a library card from the Winter Haven Library. This group is based in Winter Haven, Florida. If you are not local you can discuss the books on the Facebook group! I have tried about four times to get through this book which is more than I usually give books. The reason being is that one its signed to me and two I have a signed copy of book two as well. But this one is so boring. That I just kept putting it down and I just really didn't want to pick it back up again. But I did try so hard.